Iran, Oct. 24, 2018 - According to the latest reports published in social media networks about the sudden disappearance of Mr Hashem Khastar, the representative of the teachers union and a known teachers’ rights activists, Mrs. Sedighe Maleki, the wife of Mr. Khastar, has said the IRGC intelligence arrested (abducted) Mr. Khastar without providing an arrest warrant. He has been hospitalized on Tuesday in Mashhad’s Ebn Seena Psychiatric Hospital that is specially designed to treat mentally disturbed patients. Iran’s teachers are known for their organized power to launch major strikes. U.S. State Department spokesperson Heather Nauert voiced support for the Iranian teachers’ recent nationwide strike sweeping across the country. We are following the reports of nationwide strikes in #Iran. We support the right of the Iranian people to peacefully express their rightful demands. These strikes have a message for the regime: stop wasting Iran’s wealth abroad and start addressing the needs of your own people. The freedom-loving teachers’ strike spread to 103 cities across the country, including Tehran, Isfahan, Shahin Shahr, Karaj, and many others, protesting unbearable living conditions and the heavy security measures in schools and college campuses. This strike spread to 29 of Iran’s 31 provinces. Students of Tehran University’s School of Social Sciences held a protest rally on Monday afternoon and refused to show up for some of their afternoon classes. This was in support of their protesting teachers. The students were voicing slogans ridiculing the speech delivered by Iranian regime President Hassan Rouhani calling for “hope therapy” to overcome the current crises in Iran. They were also holding signs expressing their support for their teachers’ nationwide strike and called on authorities to meet the teachers’ demands of better living conditions and the release of imprisoned teachers. A number of telephone and communications workers issued a statement expressing their support of the protesting teachers’ strike. Members of the Haft Tappeh Sugar Cane Workers Syndicate also issued a statement expressing their support for the protesting teachers’ nationwide strike. As teachers across Iran continued their nationwide strike for the second consecutive day on Monday reaching 103 cities, and truckers forced regime officials to succumb to three of their demands after three weeks of strikes, more reports are coming from numerous cities across Iran about people from all walks of life holding a variety of rallies. In Tehran, clients of the Revolutionary Guards-linked Caspian credit firm rallied outside the Iranian regime’s Central Bank, demanding their stolen money returned. Clients of the Caspian credit firm were also rallying in the city of Rasht in northern Iran. Braving heavy rainfall, these protesters gathered outside the Caspian branch and demanded their plundered savings returned. In Haft Tappeh, southwest Iran, livestock workers went on strike on Monday, protesting pressures imposed by regime officials. In Shushtar, southwest Iran, municipality workers held a rally outside the city hall on Monday demanding their paychecks that have been postponed for the past six months. These protesting workers say that prior to the Dec/Jan period, all Shushtar municipality employees were working under the city’s official authority. However, against the workers’ will and opinion, they were suddenly placed under regime officials’ authority under plan pretexted as a privatization measure. Their paychecks have been delayed ever since they added. Students of the Sanandaj Open University in western Iran rallied on Monday, protesting officials’ decision to eliminate the fields of nursing, especially one week into the course. Employees of a factory producing industrial counters in the Albroz Industrial Complex in Qazvin Province held a rally to protest not receiving their pensions for the past 14 months. According to the latest reports, teachers in more than 100 cities across Iran are continuing their nationwide strike for the second consecutive day on Monday, reaching the cities of Mashhad, Marivan, Isfahan, Hamedan, Karaj, Homayounshahr, Shahinshar, Ahvaz, Baneh, Ravansar and many more. Reports from the cities of Qeshm, Ahvaz, Poldokhtar, Ravansar, Rafsanjan, Zarineh and Babol indicate all teachers are on strike. Their protests have also spread to the cities of Divandareh, Shiraz, Sanandaj, Sari, Langrud, Saqqez, Khomeini Shahr, Kermanshah, and many others. Teachers in dozens of cities across Iran began their nationwide strike on Sunday, Oct. 14th, protesting poor living conditions, problems with their jobs and heavy security measures imposed in their schools.  Teachers in the cities of Paveh, Islamabad-e Gharb, Yazd, Kermanshah, Shiraz, Marivan, Mashhad, Ilam, Gonabad, Torbat-e Heydariyeh, Tabriz, Amol, Garmeh, Lamerd, Sanandaj, Saqqez, Tehran (Quds Town), Sarvabad and a number of other towns and cities were seen to be on strike. Students in various cities also announced their support for their teachers on this initiative. Other cities included Mahabad, Khorramabad, Firouzazbad, Zarrin Shahr, Bojnourd, Javanrud, Sari, Karaj, Ivan-e Gharb, and others. Since anti-government demonstrations erupted throughout Iran in December, strikes have become a popular way for citizens from all walks of life and social classes to protest against the corruption and inefficiency of the Iranian regime.